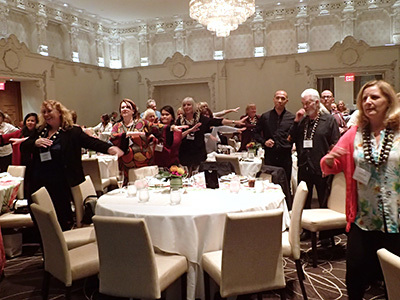 Why Were 110 Travel Agents Rotating Their Hips in Vancouver on Thursday Evening? Lea-Ann Goltz, account manager for Hawaii Tourism in Western Canada, Sam Moe of the Polynesian Cultural Center in Oahu, and Gerlinde Perena, vice president of client services at Vox International. Kiana Uluaue (left) and Sam Moe (right) of the Polynesian Cultural Center with Colin Wood, Hawaii Tourism Canada account manager (centre). 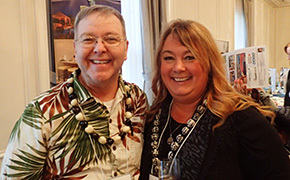 Dave Emery representing Honua Kai Resort and Spa and Christal Bauer, national training and development manager at Flight Centre Travel Group. 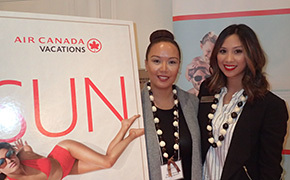 From Air Canada Vacations: Marigold Frontuna, general manager, Western Canada, and Martha Dela Torre, area sales manager for BC. 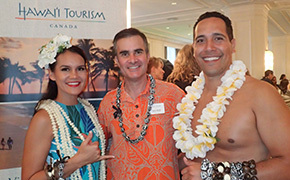 But that’s exactly what happened on Thursday evening, when the region’s agent community attended Hawaii Tourism Canada’s ‘Aloha Canada’ showcase at the stylish Rosewood Hotel Georgia. It was clear from the get-go that this was going to be a fun event, as agents were welcomed by smiling traditionally-dressed dancers from Oahu’s Polynesian Cultural Center, who graciously adorned each agent with their very own lei. The same dancers would later get the agents up on their feet for an impromptu group hula class. And having witnessed that display, I can happily report that the industry’s hips in the West are working very well indeed! 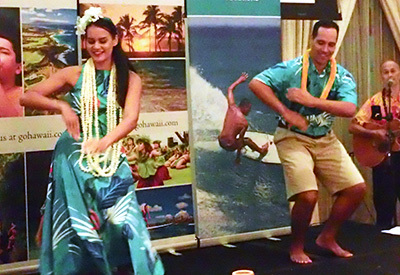 Hips aside, there was indeed an educational element to the evening, as major suppliers shared their knowledge during a small trade show and representatives from the various Hawaiian islands gave presentations on what makes each one unique. Hawaii, of course, is huge news in the West. Not only is Canada the destination’s second-largest market after Japan – some 500,000 Canadians sample the aloha spirit each year – but a massive 75% of that market hails from British Columbia and Alberta. 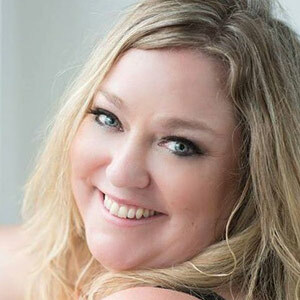 So how can travel agents tap into this potential for responsible growth?